The Invention of Book Printing comes from Nova Reperta (New inventions and discoveries of modern times), by Stradanus (Jan van der Straet), the first such illustrated compendium of postclassical innovations (ca. 1599- 1603). The ability to print many copies of such works revolutionized communication of ideas in the sixteenth century. Hans Collaert the Younger’s Invention of the Compass, from the same series, shows a figure drawing a compass rose. In the foreground, a naturally magnetic lodestone floats on a wood plank in a water-filled vessel. 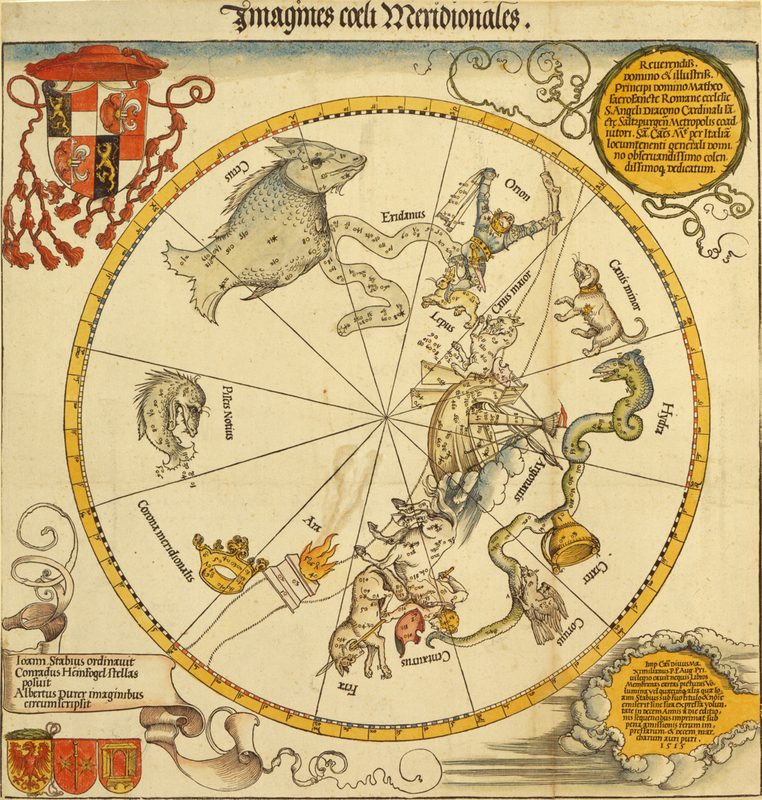 Albrecht Dürer’s 1515 Map of the Northern Celestial Hemisphere was the first printed celestial chart, and heavily influenced subsequent star maps. Jan Saenredam used copperplate engraving before 1600 to create these celestial globe gores, which echo and update Dürer. Houghton Library, Harvard College Library/Liechtenstein Map ColleCtion, *51-2459 pf. Harvard curators made this three-dimensional model by affixing modern copies of Saenredam's mathematically precise gores to a sphere. Image courtesy of Department of Digital Imaging and Visual Resources, Harvard Art Museums © 2011 President and Fellows of Harvard College. In 1615, Georg Brentel the Younger issued a pamphlet describing how to construct and use a cylindrical sundial. The printed sheet shown featured a zodiacal calendar that, wrapped around a cylinder, enabled its owner to determine the length of each day, the time, and sunset. A cylindrical sundial constructed according to the 1615 pamphlet by Georg Brentel the Younger, described in the previous caption. Georg Glockendon’s 1511 Peoples of Africa and India copies Hans Burgkmair’s 1508 woodcut documenting the voyage of a Tyrolean merchant along the coasts of these two newly explored continents. Burgkmair’s innovative approach to “mapping” the route the expedition followed has been called the beginning of ethnography. Jan Saenredam’s 1602 engraving, Beached Whale near Beverwijk, shows the artist himself sketching the scene in the left foreground, translating empirical information gathered by others to create an accurate visual record of the carcass. Yet the allegorical frame at the top of the print nevertheless alludes to a classical past by asking whether the beaching of the whale is an ill omen for the Dutch. In Geometry (after 1575), from the series The Seven Liberal Arts, Jan Sadeler I used an allegorical figure to depict the use of geometry in fields such as navigation and architecture (represented by the crown of towers). Dürer’s 1504 Adam and Eve, a study of the perfect human body, from early in his career, presaged lifelong interests: from studies of human proportion to natural­istic renderings of plants and animals. 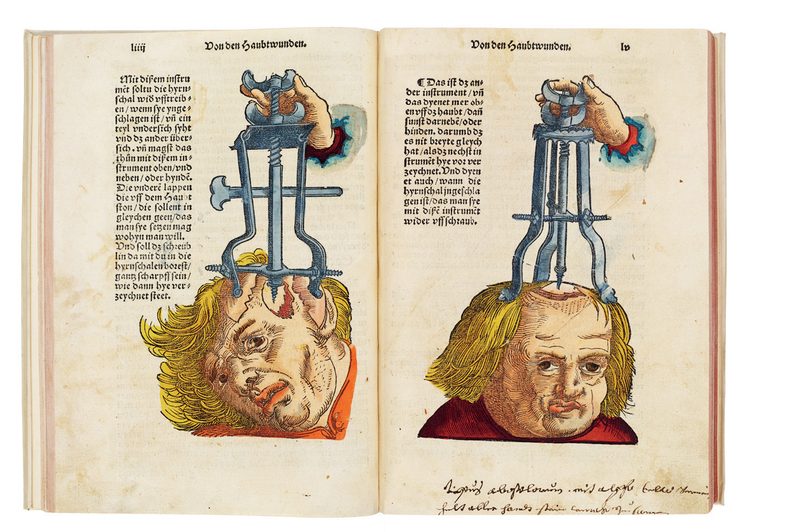 Instruments for Use in Cranial Surgery, from Hans von Gersdorff’s Feldtbüch der Wundartzney (1517), is both a description of how to remove shards of skull from the brain and a tool to persuade readers that such surgeries were possible. Heinrich Vogtherr the Elder’s 1544 Anatomy; or a faithful reproduction of the body of a female goes further (see next image). Image courtesy of the Boston Medical Library in the Francis A. Countway /Library of Medicine. In Heinrich Vogtherr the Elder’s 1544 Anatomy; or a faithful reproduction of the body of a female, paper flaps allow internal exploration of the human body. Albrecht Dürer, Melencolia I, 1514. Engraving. Hans Holbein the younger and Sebastian Münster, Universal cosmographic map, from A new globe of regions and islands unknown to the ancients, 1532. Woodcut from two blocks and letterpress. Image © The Trustees of the British Museum. 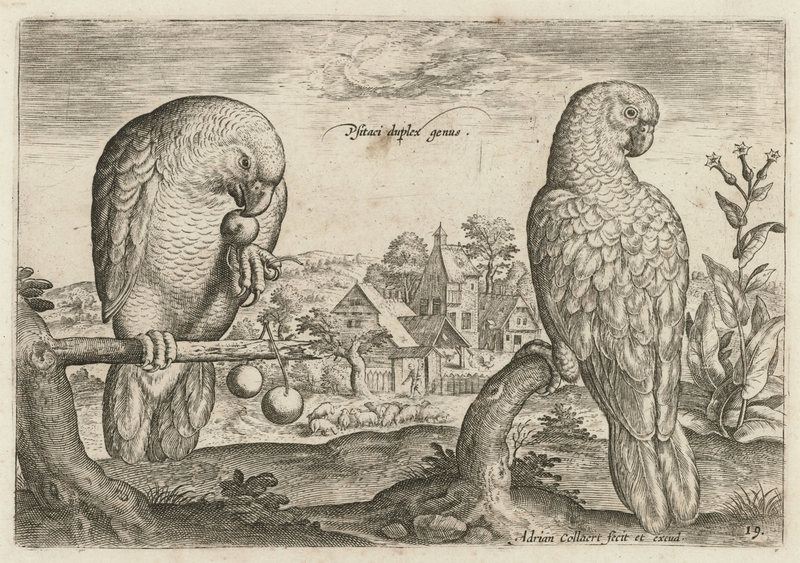 Adriaen Collaert, Two Grey Red-Tailed Parrots from the series Living images of birds, c. 1600. Engraving. 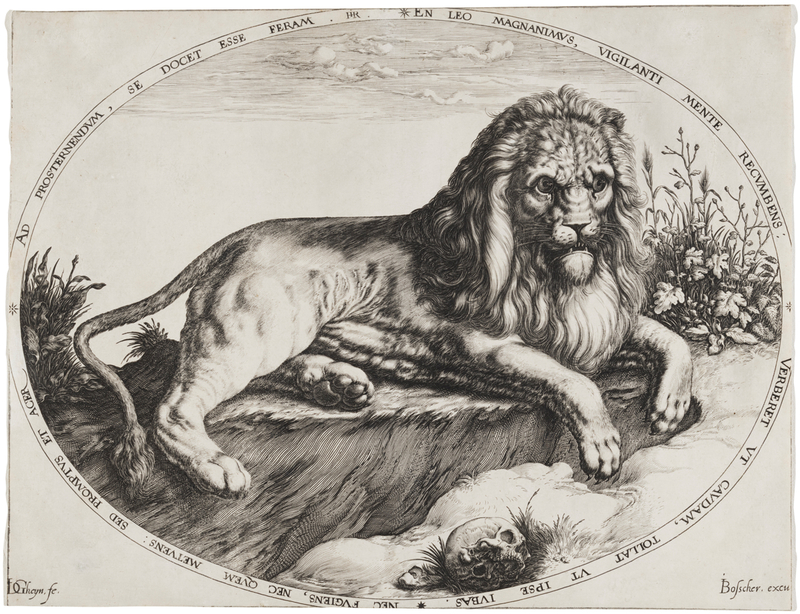 Jacques de Gheyn II, Great Lion, c. 1590. Engraving. Jacques de Gheyn II, Portrait of Carolus Clusius, 1601. Engraving. 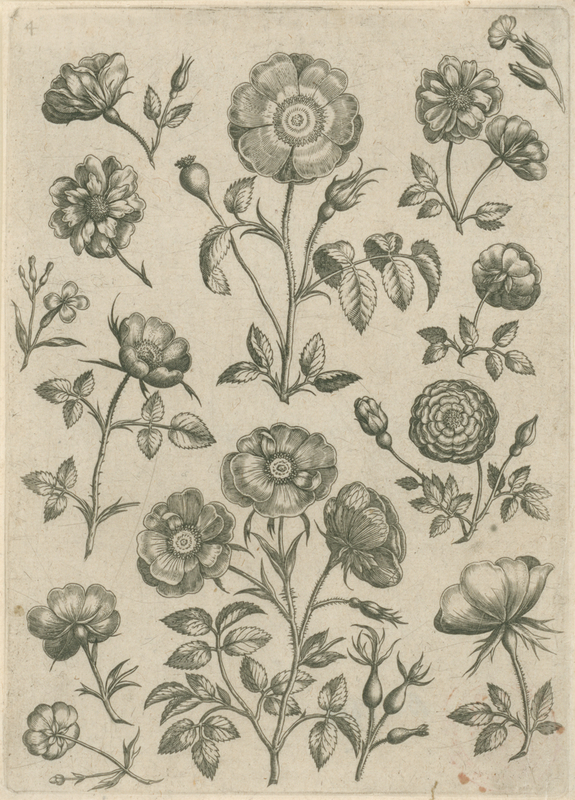 Adriaen Collaert, Rose from the series Florilegium (Collected images of flowers), Antwerp: Philip Galle, c. 1587–89. Engraving. 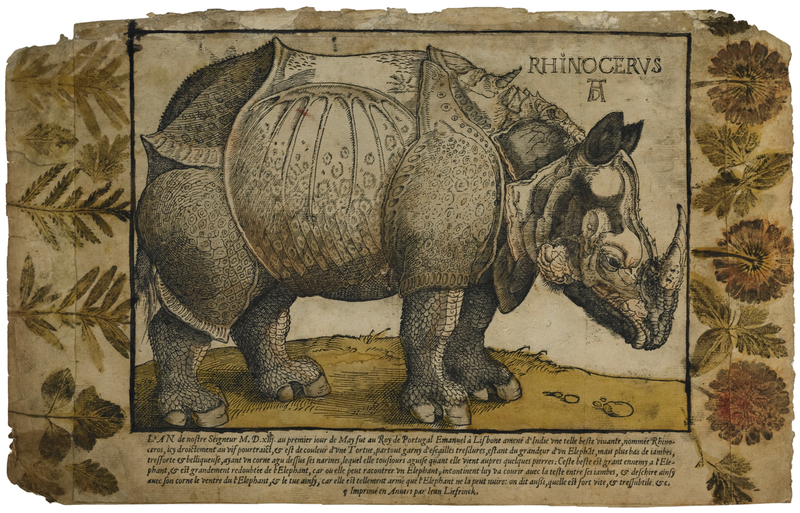 Unknown artist, after Albrecht Dürer and Hans Liefrinck the elder, Rhinoceros, c. 1550. Woodcut with hand- coloring, letterpress, and impressed plants. Philip Galle, Skeleton in Left Profile from the series Instruction and fundamentals of good portraiture, Antwerp, 1589. Engravings. 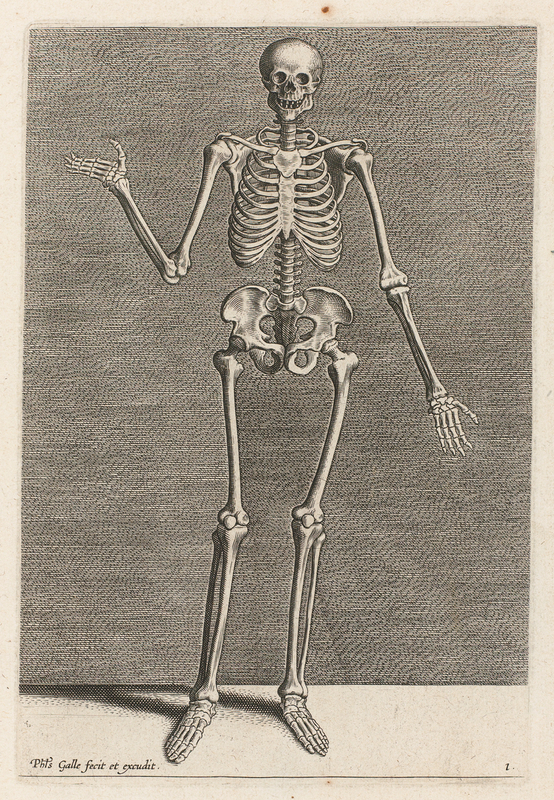 Philip Galle, Skeleton from the Front from the series Instruction and fundamentals of good portraiture, Antwerp, 1589. Engravings. 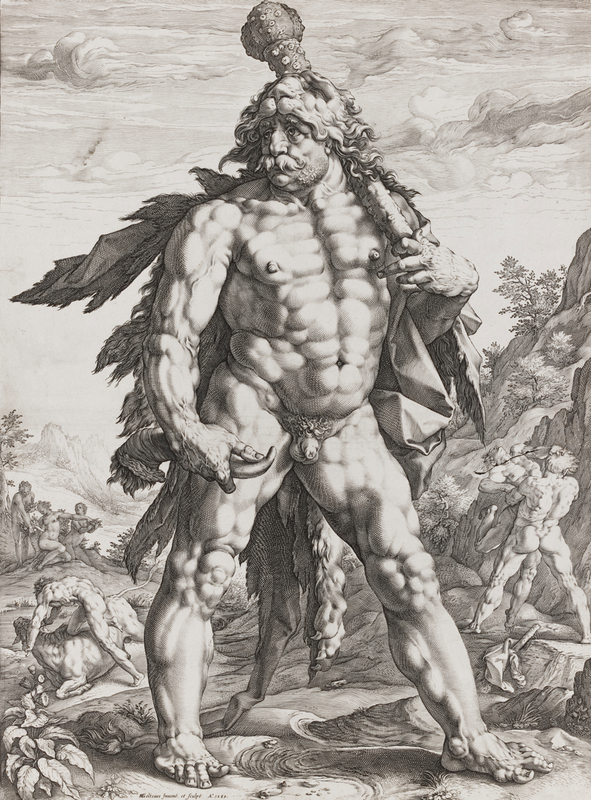 Hendrick Goltzius, The Great Hercules, 1589. Engraving. 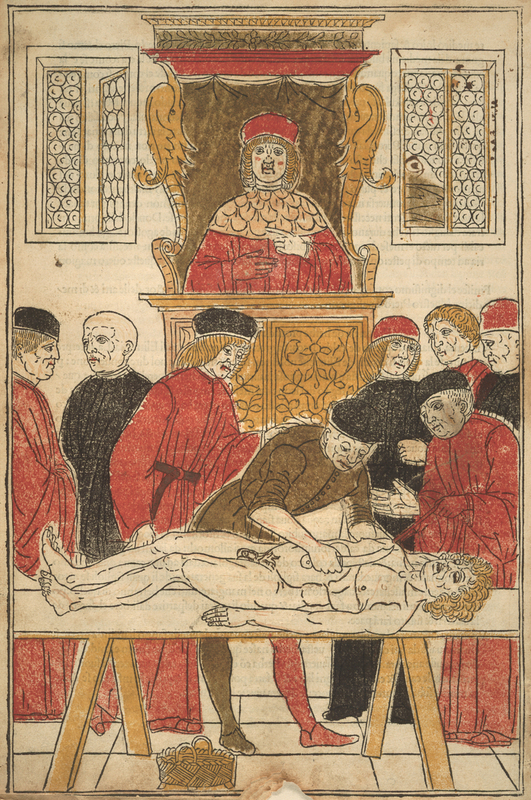 Unknown artist, The Anatomy Lesson, from Fasciculo di medicina (Pamphlet on medicine), Venice: Gregori Brothers, 1494, Woodcut with colors applied by hand-printed blocks and stencils. Albrecht Dürer and Johannes Stabius, after Conrad Heinfogel, Map of the Southern Celestial Hemisphere, 1515. Woodcut with hand-coloring. 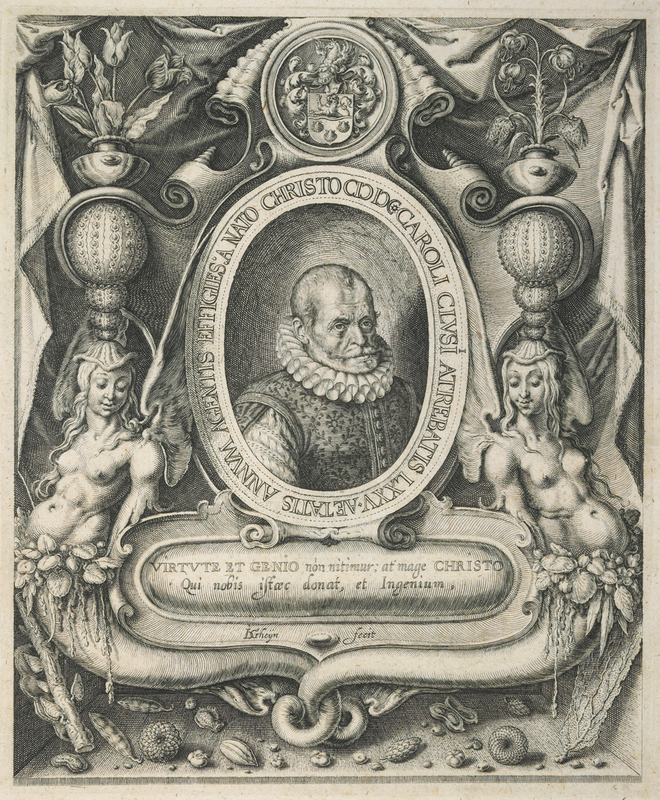 Image courtesy of the Staatliche Graphische Sammlung München. 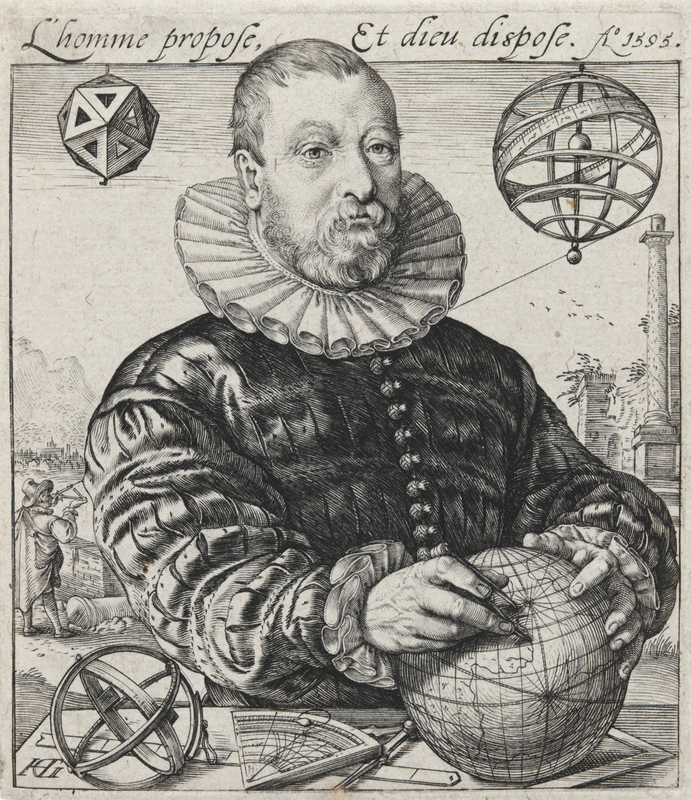 Hendrick Goltzius, Portrait of Nicolaus Petri van Deventer, 1595. Engraving. and of sundials and additional inventions; also watch a video introduction to the exhibit as well as an informational video on sixteenth-century botanical leaf printing. The sixteenth century marked the beginning of modern scientific exploration. 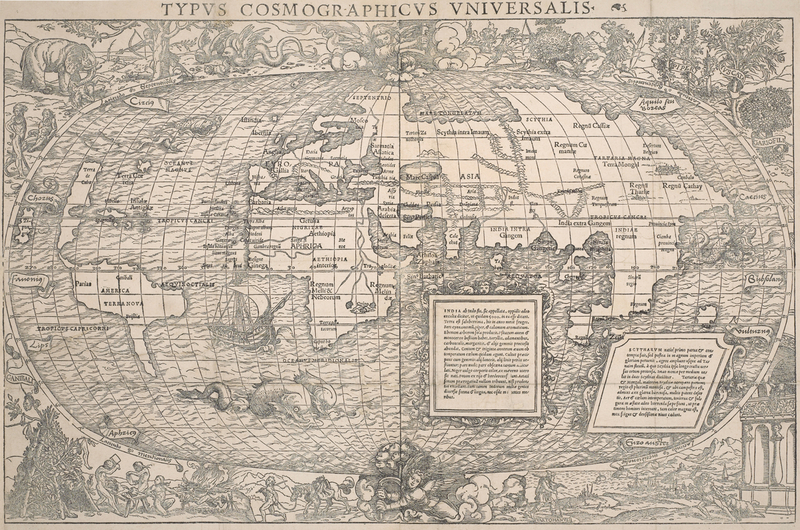 Instead of relying principally on classical accounts of the natural world, scholars began employing direct observation to measure, probe, and expand fields of knowledge: astronomy, cartography, anatomy, and medicine. 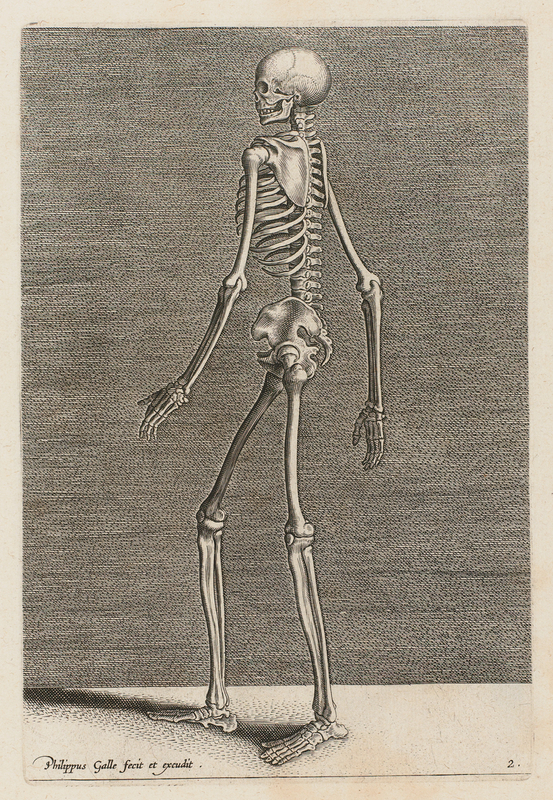 Well-known artists of the period such as Albrecht Dürer, Hans Holbein, and Peter Breugel enthusiastically depicted what would today be considered scientific subjects, says Susan Dackerman, Weyerhaeuser curator of prints at the Harvard Art Museums, even though the notion of scientific inquiry was in its infancy. (The word “scientist” wasn’t even invented until the eighteenth century.) Shortly after arriving at Harvard five years ago, Dackerman began wondering how extensive a role these important artists played in the pursuit of knowledge in early modern Europe. “We all have this idea of scientific illustration,” she explains, “but that is not what I am really interested in. I’m interested in the way that the most famous artists of the time collaborated” in the production of specialized knowledge. Just how much did Dürer know about astronomy, for example, when he carved the first known woodcut of a celestial chart? Dackerman’s subsequent quest to solve that puzzle took her to Harvard’s botanical libraries, Map Collection, Houghton Library, Countway Library of Medicine, Collection of Historical Scientific Instruments, and many other sources. The collaborative effort was aided by regular interdisciplinary discussions at the Mahindra Humanities Center over the course of several years, and further honed in a class Dackerman co-taught with Katharine Park, Zemurray Stone Radcliffe professor of the history of science, in 2010. Stunned by Harvard’s intellectual resources—the physical collections, the human expertise in “almost anything you can think of,” and a “corps of graduate and undergraduate students who are curious and eager and smart”—Dackerman realized that she had access to “an incredible potential laboratory for devising different ways of teaching”: a key goal of the University’s reimagined art museums. The work has culminated in Prints and the Pursuit of Knowledge in Early Modern Europe (through December 10 at the Sackler Museum), a model for bringing together a group of scholars, undergraduates, and graduate students who all contributed their “interdisciplinary and intergenerational voices,” in Dackerman’s words, to the exhibition. 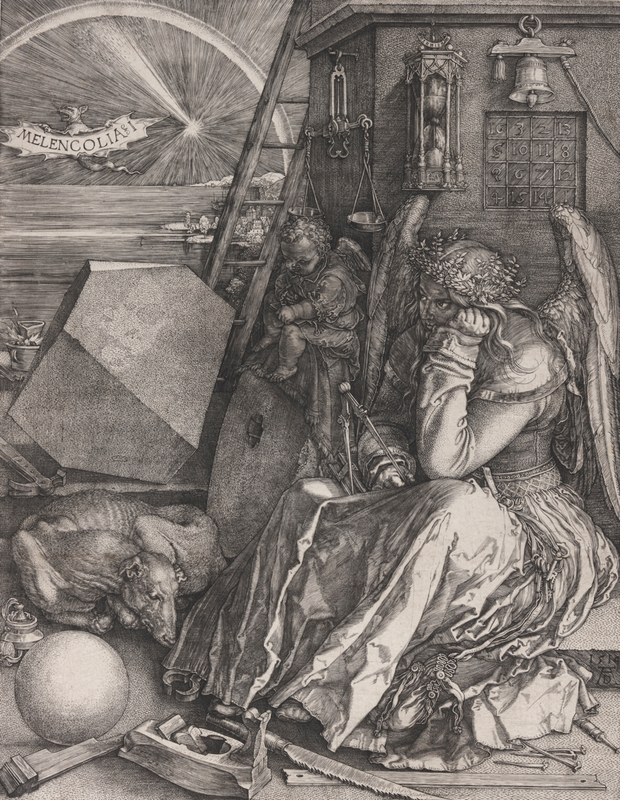 “We think of artists as individuals working from imagination or observation,” says Dackerman, but artists like Dürer—the premier painter, draftsman, and printmaker of the early sixteenth century—were familiar with important astronomical theories and discoveries and incorporated them into their work. Dürer’s woodcut of the constellations, with its combination of classically posed human nudes and naturalistic renderings (Cancer is a lobster, not a crab), subsequently became important to the history of astronomy. “Almost any representation of the stars made in the sixteenth century,” Dackerman says, “is some derivation of Dürer’s original,” which depicts the stars affixed to the outermost layer of the concentric spheres that also hold the moon and planets in place around the earth. The German artist’s influence persists even in Jan Saenredam’s copperplate engravings of celestial-sphere gores, dating to the end of the century. Based on the Danish astronomer Tycho Brahe’s expanded star catalog, they are the first printed non-Ptolemaic depictions of the skies. Houghton Library holds the only surviving impressions of these gores. Printing itself was an astounding technology at the time—the most sophisticated way possible to represent and disseminate knowledge. And printmakers were inventive in their use of this new medium: printed paper sundials, for example, included the instructions for their own manufacture. The facsimile shown in the seventh image above (which visitors to the exhibit can hold and manipulate) consists of a paper sheet (shown in the sixth image) affixed to a cylinder that is fitted with a precisely measured, protruding gnomon. The device would have allowed traveling merchants not only to tell time, but also to convert among the three different time-telling systems of the day as they traveled from one region to another. In an era when ability to navigate long distances at sea was a relatively new skill for Europeans, maps of oceans and coastlines were valuable tools of exploration. But not all maps were topographical. Georg Glockendon’s 1511 copy of Hans Burgkmair’s “map” of a voyage up the east coast of Africa and down the west coast of India shows the different peoples encountered as the ship made various stops-, detailing their dress and customs in what may be the first ethnographic study ever made. Another important development of the period was an emphasis on knowledge culled from experience and observation, rather than from books. Dürer, for example, asserts that his rhinoceros was drawn from nature because he worked from an eyewitness sketch and description, even though he never saw the beast himself. Depictions of cranial surgery, and innovative models of human anatomy that permitted delving into the viscera, promoted—as much as they described—a novel way of understanding and interacting with the world. Saenredam’s engraving of a beached whale shows the artist himself sketching figures who are busy measuring the carcass and studying properties of its skin and blowhole. They would now be called scientists, but were then fellow seekers after, and purveyors of, knowledge, just as he was.